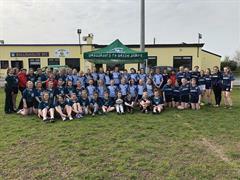 The Junior Camogie Team finished off the last round of group games this week with a good win over Presentation Athenry in Ardrahan. The girls now qualify for the Connacht Final after Christmas. Well done to all involved.